Sometimes you just need a holiday at home. But it’s hard to not get caught up in chores and screens. Sarah Hinder has a few tips and tricks to make your staycation a real holiday. Think about your favourite family holiday. Kids get just as excited about the hotel as they do about the location. A hotel stay is exciting. The rules and chores of home are out the door. Extravagant buffet breakfasts are laid on every morning and the kids can devour whatever they like. For parents, that means someone else washes the dishes, makes the beds and takes the bins out. Many city hotels have great amenities such as swimming pools, games rooms and spas. One or two nights stay in a hotel in your hometown could be just the ticket for a relaxing family break, without the cost or the hours in transit. If a hotel stay is out of your budget – you can always recreate the experience at home. Try setting up a tent for the kids and get creative with how you approach the day. Relax the rules. If you are holidaying at home – get out and explore your city. Try to live like a tourist. Find new places and new attractions. This is what the staycation is all about. What do you say when someone asks for the top things to do in your city? Have you done them all? Ask your friends and the internet for suggestions too. We bet you will find loads of activities, events and attractions you’ve never experienced before. Get away from the bustle of everyday life. Find bushwalks near your home – or within a few hours drive. Can you find a park you have never explored? A great bike ride? Or a swimming spot? 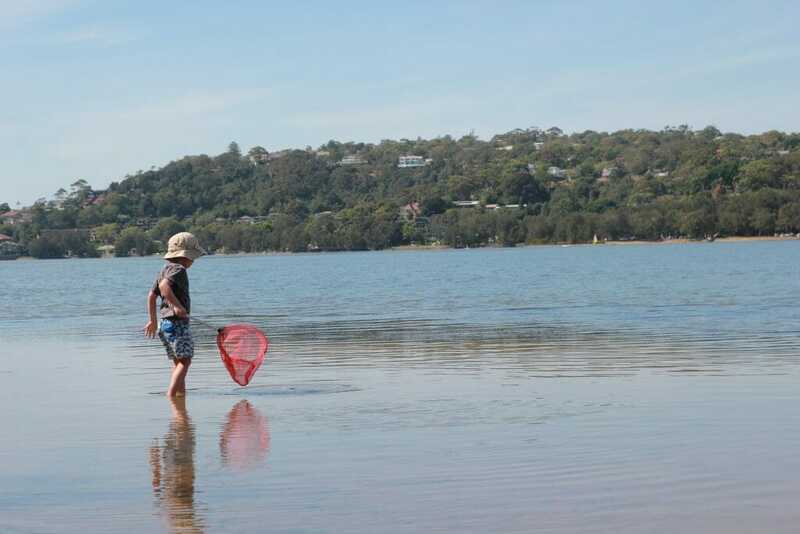 Teach the kids to fish – or chase them with a net. Once you start thinking, you will find so many things to do. One of the most fun things to do with kids is to let them take charge for the ‘gastronomy’ for the day. Let the kids choose the places you’ll eat – it’s a lot of fun and responsibility for them – and you might be surprised with the options they go with. Just set some rules around healthy eating. Keeping a diary is a great way for kids to develop their writing skills and record all their adventures. We created our very own staycation diary to keep kids entertained during the school holidays and over weekends. Inside the staycation travel diary, kids can complete scavenger hunts, draw their home and answer questions about where they would want to go for their next holiday. 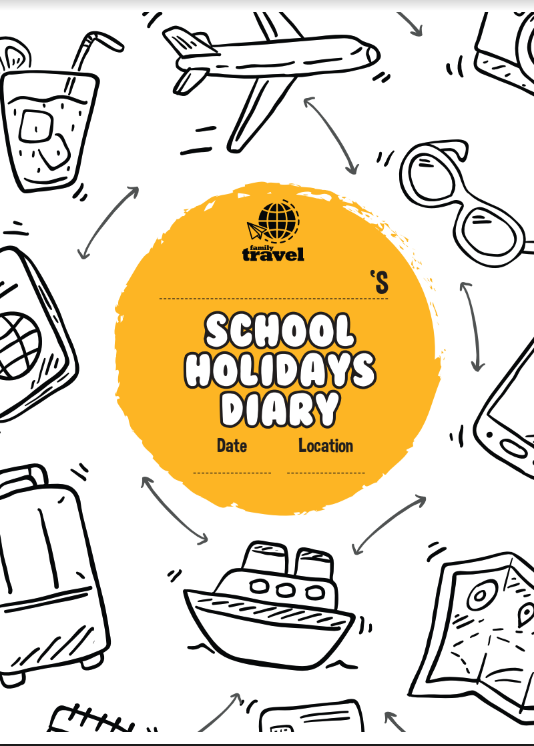 Get your free School Holiday staycation diary today! In Sydney, take a trip to the Entertainment Quarter. 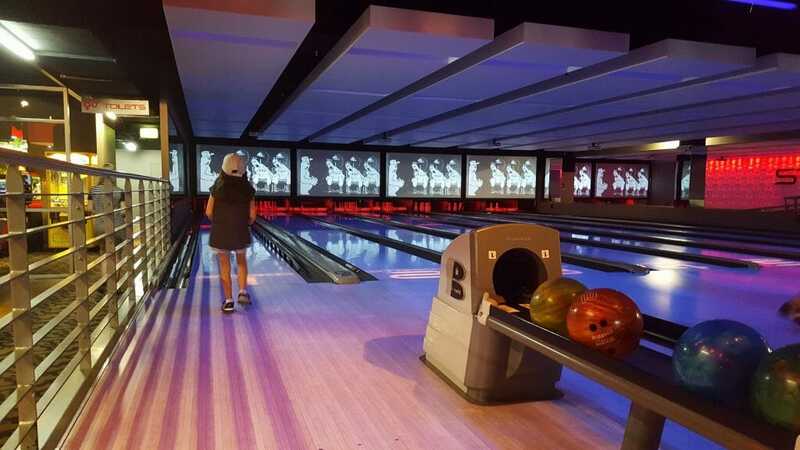 It’s packed with activities kids love – plaster painting, strike bowling, laser skirmish, rollerblading, and even a Hoyts cinema. For outdoor adventures try the Royal National Park, the Blue Mountains or walk to the lighthouse at Palm Beach. Take a ferry across Sydney Harbour, try Treetop Adventures (Abbotsbury, Pennant Hills and Olympic Park) or cycle around Narrabeen Lake. Rainy day? Tr indoor trampolining or a rock climbing centre, the Powerhouse Museum, The Rocks Discovery Museum and the National Maritime Museum. In summer you can combine Luna Park with a swim at the famous Milson’s Point pool. You can’t beat the view from here. If you live in Melbourne, make a trip to explore the laneways, interesting shops and graffiti art. For indoor days visit the Melbourne Museum, Scienceworks, the Australian Centre for the Moving Image (ACMI) and the bustling Queen Victoria Markets. In Perth, take the family to one of the city’s renowned beaches or on a cruise along Swan River. Visit kid-friendly museums the Old Perth Gaol and Western Australian Museum, or for something different try The Nostalgia Box or Rottnest Island Museum. Get the family outdoors in Brisbane among the city’s beaches and wildlife experiences – Walkabout Creek Wildlife Centre and Boondall Wetlands Reserve are great picks for kids. Queensland Art Gallery & Gallery of Modern Art (QAGOMA) , Sciencentre and the creepy Boggo Road Gaol are some museum ideas to get you started. 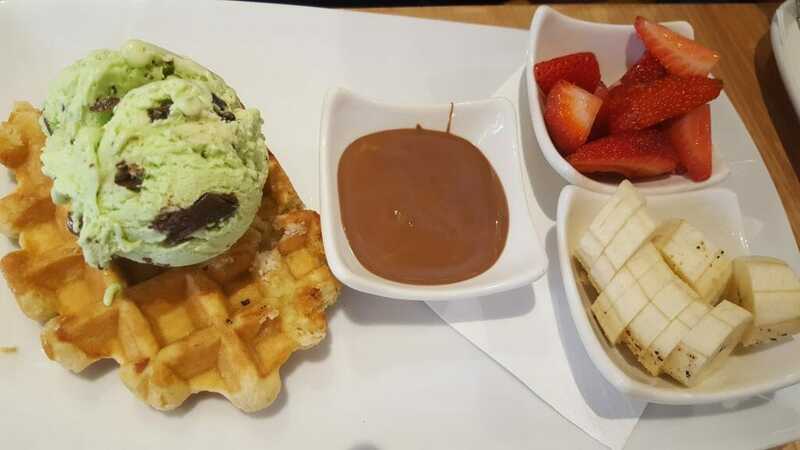 For a staycation in Adelaide check out the activities around Adelaide Showground, Adelaide Museum, Migration Museum, and Mount Lofty Botanic Gardens. For great animal experiences try Cleland Wildlife Park, Granite Island Park or even a dolphin-watching tour just off Glenelg Beach. Top picks for families in Hobart include the Tasmanian Museum and Art Gallery, The Museum of Old and New Art (MONA) and the buzzy Saturday Salamanca Market. For outdoor adventures take a walk over the forest at Tahune AirWalk, explore Hastings Cave and meet Tassie Devils at Bonorong Wildlife Park. In Darwin, cool off at Leanyer Recreation Park, explore the exciting attractions around the Waterfront, discover the city’s fascinating history at Darwin Military Museum, and set off on an adventure to see crocs jumping out of Adelaide River. And importantly, get out into the wild Kakadu National Park – it’s right on your doorstep. A successful staycation starts by looking at your city from a different perspective.